Synthpop style appeared in the 70s in Japan. It is distinguished by its brightness and eccentricity. 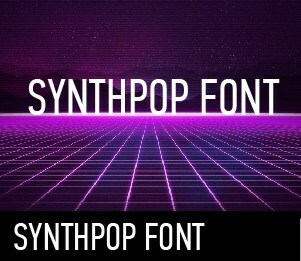 Most often, the font in the style of Synthpop was painted in neon colors, or filled with a gradient, incongruous colors. Often, this font can be found in the movies of the 80s or the comic book about robots.